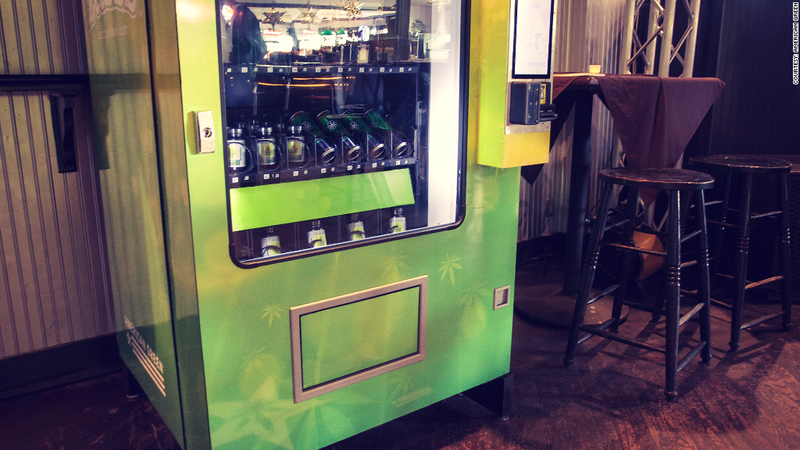 Short for pizzazz, "The ZaZZZ" is a pot vending machine from Tempe, Ariz.-based American Green, which develops technology and products for the cannabis sector. "This is an exciting time for the marijuana industry and we wanted the machine's name to reflect that," said Stephen Shearin, COO of American Green. Shearin expects the first few machines to be operational any day, and said they already have an order for 25 more. For now, all the machines will be in Colorado's medical marijuana dispensaries, but he hopes to expand to the state's recreational dispensaries as well (Colorado legalized pot last year). To use the machine, you need a medical marijuana card and your driver's license; first-time users must also answer a few security questions. Prices range from $20 to $100 -- the same as a dispensary -- and the quantity you can buy is dictated by state laws. Shearin expects to have 1,000 operating ZaZZZ machines by Christmas -- primarily in medical dispensaries in the 21 states that allow it.